Our School Dogs work alongside a handler, and in conjunction with teachers and therapists, in Special Educational Needs schools. They are cared for by volunteers in their homes when they are not working in the schools. 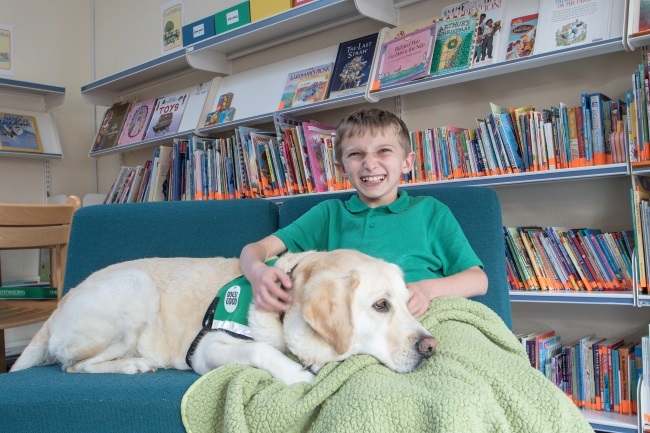 We are looking for a volunteer to provide a loving long-term home for our new school dog Zeus and be able to transport him to and from Stocklake Park and Booker Park Schools in Aylesbury, Buckinghamshire. Could you be a School Dog Holder? Any children in the home should ideally be over twelve years of age. If you are interested in caring for Zeus, please contact School Dog Handler Claire on 07939 043214 or email [email protected] to find out more. Please ensure you meet the criteria above before you get in touch. A Disclosure & Barring Service check is required. We will also take up personal references for this role.